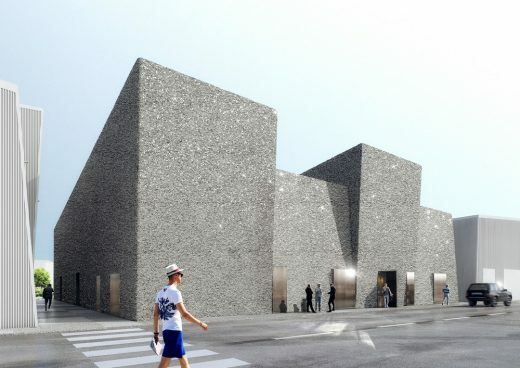 Dubai, United Arab Emirates – Alserkal Avenue will preview a new multi-purpose venue to be designed by The Office for Metropolitan Architecture (OMA) during Dubai Art Week, 14-19 March 2016. OMA will transform a set of four warehouses on the Avenue into an event and project space that fuses the industrial and cultural character of the neighbourhood. Developed over the course of last year, the OMA-design was selected because of its ability to encourage new possibilities for content and artistic practice, and its ability to engage with and bring more creative talent to the Avenue. The completed space, which is anticipated to open in Fall 2016, will bring greater attention to intelligent design practices in Dubai, and spur dialogue about the vital role architects and artists play in our communities. Two partners in the OMA firm, Iyad Alsaka and Reinier De Graaf, will take part in a special colloquy on urban development and future visions of Dubai, with conceptual artist Mary Ellen Carroll (Wednesday 16 March at 6pm). The conversation will take place on top of Carroll’s 15-meter high tower erected temporarily in the Yard, across from the future OMA-designed project space. The tower is part of a multi-form work titled The Circle Game by Mary Ellen Carroll, commissioned by Alserkal Avenue Programming, which will be on view from 14 March – 30 April. 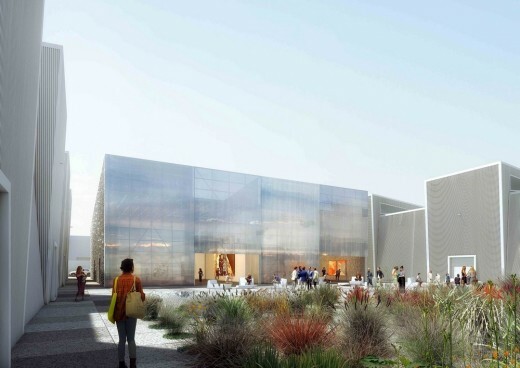 The new space, anticipated to open in Fall 2016, will be OMA’s first built project in the United Arab Emirates. 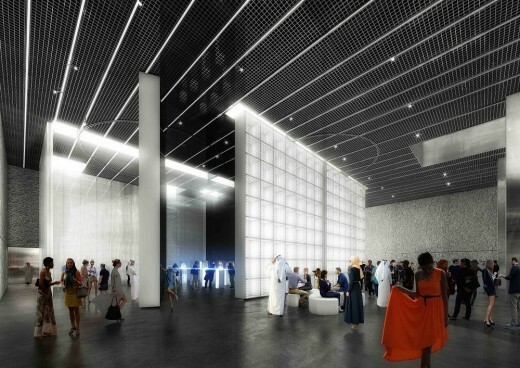 A preview of the 1,000-m2 interior gallery will take place during Dubai Art Week (14 – 19 March 2016). The OMA-designed project space provides Alserkal Avenue with a central location to host diverse, largescale public events. Envisioned as a multi-purpose space, the venue will be able to accommodate world-class art exhibitions, performances, conferences and more. wrapped in a customized concrete spray, distinguishing the building from the other surrounding warehouses.